Zolta Registry Cleaner’s developers have the nerve to claim that it is a new type of registry cleaners that can eliminate errors and crashes when it does the opposite. We have tested this application and have come to the conclusion that it is unreliable and thus we have classified it as a potentially unwanted program. Therefore, we suggest that you remove it. In this description, we will provide you extensive information about its origins, functionality and problems associated with its functions. Its developers have done a pretty good job of marketing this registry cleaner, and now we are going to debunk all of the misinformation about it. We were not surprised to find out that Zolta Registry Cleaner was created by a secretive developer who made sure not to include its name anywhere in its legal documents. You will find that a lot of software developers that create shady programs choose to remain in the shadows. Hence, if a program does not feature its developer’s name, then you should not install it. Also, we found that this application’s website at Zoltapro.com does not even feature its installer even though it has a big blue Download button. Nothing happened when we tried to download it, and we think that that is for the best. Nevertheless, this does not mean that Zolta Registry Cleaner is dead. It is very much alive, and we think that it is currently being bundled with similar software and uploaded to borderline-legitimate software distributing websites. When you install this program you will get an 180-day trial, and you can start using it immediately. If you click Scan registry, then it will run a scan of your computer that will finish in less than 10 seconds. That is way too fast even for a professional program let alone a low-grade PUP such as this one. After it completes the scan, it will open a .txt file with a list of what it deems to be problems that include invalid files, empty paths, and so on. However, after testing this program, we have found that it does not actually clean the registry. We ran the scan several times, and it failed to delete the problematic registry keys it had located. Therefore, Zolta Registry Cleaner is ineffective and nothing short of useless. However, that is not all since we found another major issue with this registry cleaner. 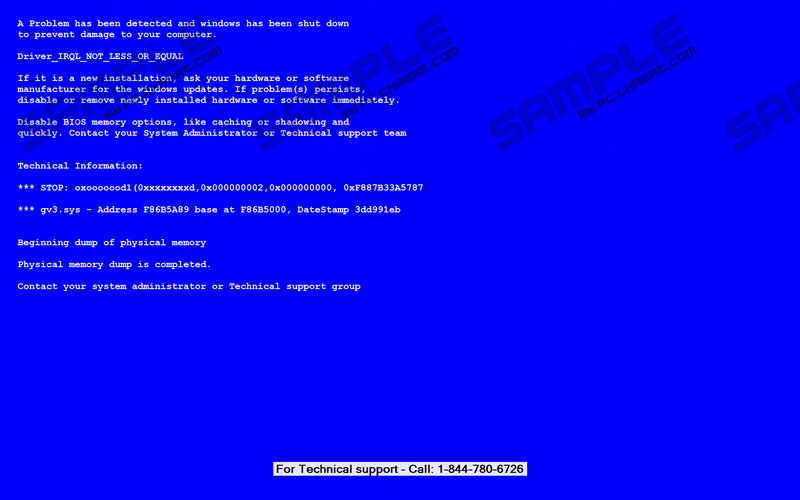 You might start getting Blue Screen of Death (BSoD) errors that signal a critical error because of which the system was shut down to prevent damage. However, this error is outright fake. It is the developers’ ploy to trick you into dialing a premium rate phone number that is supposed to be “Technical support.” It is clear that that is how the developers make money of this program. So do not dial this program because all is not lost. You can close the BSoD screen by simultaneously pressing the Alt+F4 keys. This is not the first time we encounter a scheme such as this one. Not so long ago we wrote about a program called WeatherWizard that displays the exact same error message to the letter. Thus, we believe that these two programs can be related. WeatherWizard was developed by one man in India, so Zolta Registry Cleaner may be developed by the same person, or someone else is using some elements from this or that program. Whatever the case may be, it is clear as day that this application is useless and is ought to be removed. Our research has shown that this program has nothing to offer. It can find problematic registry keys, but is unable to remove all of them. But the biggest problem we have with it is that it renders a fake BSoD error for the purpose of tricking you into dialing a premium toll number and make money. So do not fall for this deception and uninstall Zolta Registry Cleaner right now. Find the registry cleaner and Uninstall it. The application and right-click on it and click Uninstall. In the resulting Explorer window’s address bar enter the following directories and Delete them. Then, enter %WINDIR%\ and Delete the following files. In the resulting dialog box, enter regedit and click OK. In the resulting Registry Editor, enter Delete the following keys. Quick & tested solution for Zolta Registry Cleaner removal.